There is a magical feeling in the little town of Assisi, for this is the birthplace of St. Francis. Transformation at Assisi is a musical journey inspired by my experience at St. Francis’ Assisi and is a companion album to Light from Assisi. While Light from Assisi is primarily a portrait of the Grace I found there, Transformation emphasizes my introspective journey towards Grace, replete with its ups and downs. The inner transformation which began at Assisi continues, with reminders and blessings as I learn to live a life in tune with the Divine. There remain ups and downs as I learn to recognize intimations towards joy and right action which often show up when I least expect them. Although this is the second release from my trip to Assisi, this album contains the music created during the first two weeks of my stay there. A lovely way to get to Assisi is by train, passing through rolling hills and round, green mountains. Dotting the landscape are quaint stucco and stone houses, each with its ever present cypress trees. Periodically we would pass a medieval-looking village on a hill top. “Could that be Assisi?” I wondered. I couldn’t help smiling with anticipation. The train finally stopped at Santa Maria degli Angeli (St. Mary of the Angels), the town at the foot of Assisi which has grown up around the church of the same name. I was to stay here at a friend’s apartment, venturing out each day in search of the sacred. So many of us find a place in this world that triggers a memory, a feeling of home. For some, it may be in nature, a forest, the ocean, a mountain, the sky, the stars. Some of us are moved by great art or the edifices created by man to celebrate the Divine. Sometimes we are moved by a personal moment of understanding between two people, when a seemingly irreconcilable gap is transcended. To feel the compassion of a being who has “touched the hem of God” and especially to recognize such a compassion living within oneself is a great gift. For those who choose to experience the unconditional love of St. Francis, it can be found at Assisi in great strength and in sweet subtlety. A feeling of love and holiness pervades the town and surrounding countryside as if the whole town were in a giant sacred cathedral. A walk in the countryside was a perfect way to remember the joy of life. When I first walked into St. Mary of the Angels Cathedral I hear a voice within me say, “Look what they’ve done to my little church!” The tiny church, one of those which St. Francis rebuilt by hand, now sits at the crux of a giant cathedral. Nicknamed the Portiuncola or “little portion, ” St. Mary of the Angels is the Mother Church of the Franciscan Order. Here St. Francis received a full pardon for all who seek the forgiveness and love of God. There is a feeling of great devotion, sanctity and gratitude here. We all have visions ideas and landscapes within our hearts of dreams we would love to see come true, personally and for the world. By putting one foot in front of the other I believe we can bring our dreams to Earth. This was one theme that came to me as I walked. I found that each person I talked to had his/her own experience at Assisi and that my experience of inner communication with St. Francis was at times subtle and easily broken; so I experienced periods of grateful learning, great bliss and then great sorrows when I failed to keep my eye on the Divine. There were plenty of opportunities for me to become aware of thoughts memories feelings and interactions which pulled my attention from God’s joy. At any moment we could rise with the joy and love of the Angels! The Basilica of St. Francis is in three levels, each one a church in itself. Walking into the upper level of St. Francis’ Basilica can be an expansive experience. It’s great height and beautiful frescos by Giotto remind us of a glory we may not normally contemplate. Built in a Romanesque style with a low rounded ceiling, the middle level church is perfect for looking within and releasing the thoughts and feelings we sometimes torture ourselves with. St. Francis’ body is buried directly under the altar in a stone sarcophagus (which forms the center of the chapel below). The atmosphere here is dark and womb-like. This is a place for going deep. My experience was that I could delve into past memories and pain, and again and again, feel the grace of God lovingly wash away what was no longer useful to me. I became aware that I needed to let go deeply in order to reach the heights. Looking back on my experiences of getting to know St. Francis and making him one of my beloveds, I now see that the process of letting go of fear and allowing love in my heart and mind is a continuous one. This is my transformation. Being at Assisi was a trigger for me, and in that role, very necessary. I now find as a musician and in my personal life, the grace and friendship of St. Francis are available at any time and any place, especially when I am forgetting my own needs and praying for others. There are many doorways to the qualities of God, each quality being a doorway. Francis’ path of impeccable devotion, joy, simplicity, love, charity, faith, and most of all, the willingness to place the Presence of God foremost in every step, is a path which has transformed my life forever. I believe that an unconscious connection of love and recognition exists among all beings, and that by many paths we each can experience this connection consciously. I view this album as a doorway through which one may enter into a state of conscious connection with St. Francis. Experiences I had while at Assisi made it clear to me that my connection with St. Francis has been continuous, although mostly unconscious throughout this life. The second day of my trip to Assisi, I walked up Mt. Subasio to try to find the Hermitage of the Carceri. Instead of following the road I went straight up the mountain. After a rest to enjoy the view, I took a path into a wood. Suddenly I felt a great grief, as if I had lost my best friend, and began sobbing and calling “Francesco, Francesco!” I didn’t know what such an outburst could mean but it got me to thinking, and a few pieces of a jig-saw puzzle came to mind. Growing up Jewish, I had learned nothing about St. Francis, although my mother did have the “Prayer of St. Francis” framed in the basement. Years later I was hired as a substitute organist at a Spanish Catholic church. When the priest took me through a courtyard I asked if a particular statue was of St. Francis. How did I know? Once in a meditation class the teacher had us meditate on the Christ. I didn’t understand why I had seen the sleeve and then the torso of a Franciscan friar, while some others had had visions of white light or Jesus. Is it possible that I was with St. Francis as a Minor Brother and he had been my doorway/teacher, revealing the Christ to me through his example; and is it possible that I, believing in the path of controlling the mind and emotions for the sake of remaining in the joy of God, had never fully grieved the loss of my beloved teacher when he died? Is it possible that I had returned to Assisi unknowing, for the purpose of releasing this grief? These are the thoughts which cam to my mind that day. Whatever the answers are to the above questions, it is clear that my trip to Assisi enabled me to feel my direct connection with St. Francis, and likewise, realize my connection with all of creation. These connections are not affected by events in time but remain always now available. 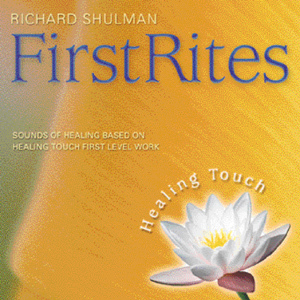 It is my sincere hope that this album will prompt you to re-experience your own relationship with the Divine. “All-Highest, glorious God, cast your light into the darkness of my heart. DEDICATION: To lovers of God everywhere. Basic sequences were recorded November 1989 at Assisi, Italy using a Korg M1 music work station and a Mac Plus computer with Performer software. Mixing and mastering were done at NRS Studio, Woodstock, NY in July and August, 1992. To all of my dear supporters who have bought and loved this album and Light from Assisi; you have helped me continue my work. 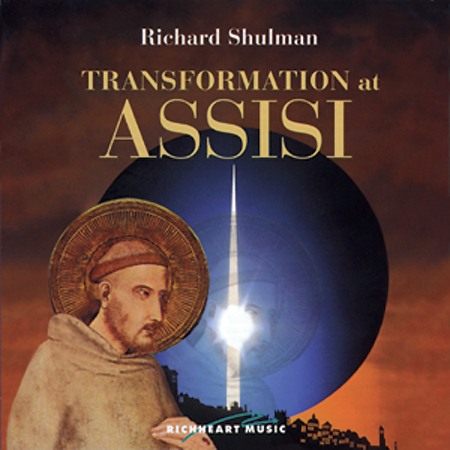 Transformation at Assisi is a sacred musical journey conceived and recorded at the birthplace of St. Francis, and is the companion album to Light from Assisi. 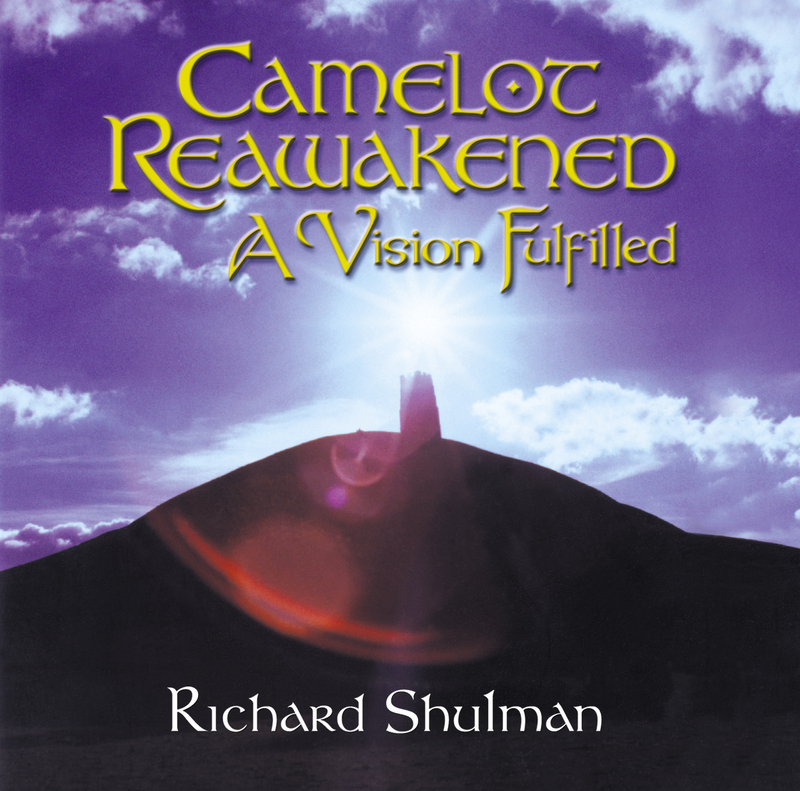 Camelot Reawakened: A Vision Fulfilled is about the fulfillment of dreams of the heart for individuals and society, and it’s creation has been a dream come true for me. In the mid 80’s, I awoke one morning hearing an extraordinary symphonyinside me. “I could never write this down.” I thought, and the music stopped. I felt a profound sadness and then vowed to be prepared the next time I heard such inner beauty. During this time period, a healer I was working with showed me that I could create “Musical Soul Portraits” for people. Invoking music “for the Highest Good” of others has allowed me to hear, express, and record music of Divine Connection for those I work with. 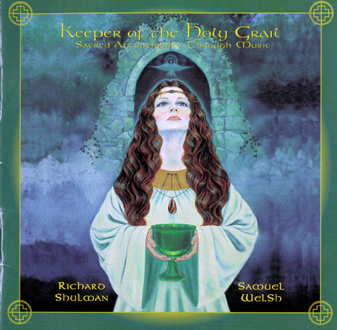 I became interested in Camelot while working on the Keeper of the Holy Grail CD, which explores our inner sacred reality as the Holy Grail. A visit to Glastonbury, England in 1995 further awakened me to some of the strands of connection between Camelot and my own life. The Musical Soul Portrait performed that evening carried a power and beauty which expressed a dream of Heaven on Earth fulfilled. I knew I had been given a gift and a beginning. Over the next three years, dozens of clients came to me with a connection to Camelot. While playing for them, I became aware of entering sacred moments. Within these moments I heard music related to the original “Camelot session.” Each person carried a piece of the “jigsaw puzzle” of a harmonious society and it was reflected in their soul’s music. I also found “Camelot music” showing up in many of my recording sessions. I began to collect and catalog these melodies. Working an hour or two most days, in my “spare” time, these melodies gradually came together as a piece for symphony orchestra, piano, choir and soloists. When the score was about 80% done, I approached Robert Hart Baker, conductor of the Asheville Symphony Orchestra, with a printout and a synthesizer mockup of the piece. He offered to work with me and we eventually scheduled a concert on Saturday, January 12, 2002, followed by a recording session the next day, with a 35-piece orchestra. Writing for orchestra had actually been easy and fun! Now my challenge was to have the confidence to work with other people as director of the project. I learned to “keep the faith” in the midst of all kinds of fears, and found a generosity in many people who helped me do what I never could have done on my own. Amazingly, different people told me how to do the publicity, how to fill the hall etc., and I found that the only way to get everything done, without being overwhelmed, was to do one step at a time. After the concert, “One step at a time” continued as I edited and mixed the music. I saw and honored how this way of being opens me to a dance with Life: doing what needs to be done, and then enjoying the response. This gives me an opportunity for the next step. Portions of this story first appeared in the December 2001 issue of Spirit in the Smokies, with the thoughtful help of its editors. See their Web site: spiritinthesmokies.com. The first movement opens in a mist. 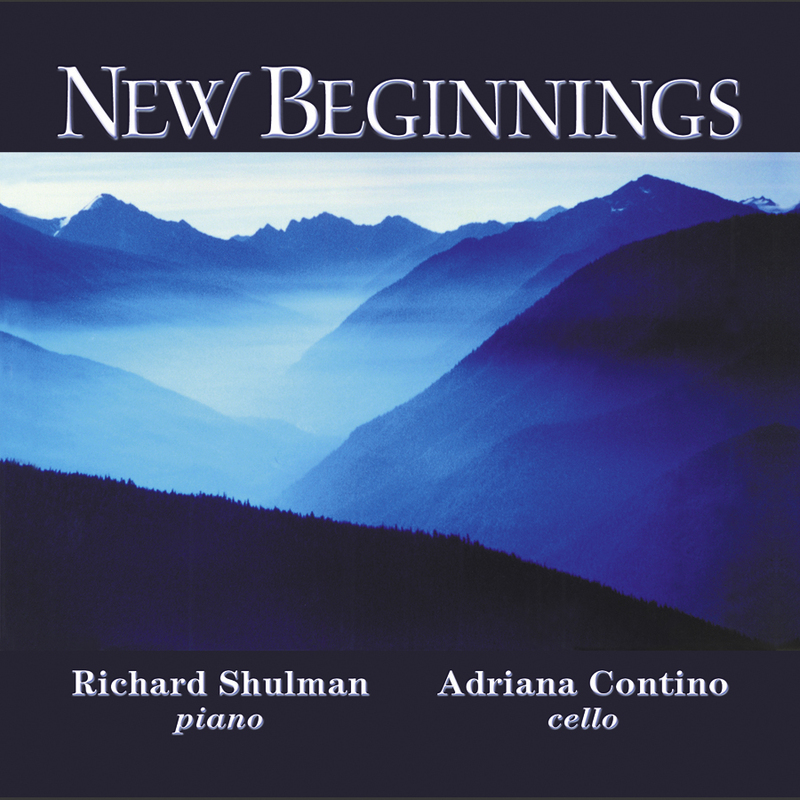 In and out of this mist weave various instruments, leading to a simple, clear statement of the first main theme by the tenor voice and piano. This is the theme of the Dream of Camelot. It signifies the dream of our hearts. A brief interlude is followed by the return of the theme of the Dream with the full orchestra. The celebration is an expression of that hopeful energy, but it also brings us to the point of recognizing that there’s work to be done. The celebration opens the doorway to memory. With memory we are able to start to look at what has not worked in the past when we have tried to follow our dreams. The fourth movement is about acknowledging what happened, feeling the emotions, and letting go of the patterns that didn’t serve us. Then we remember the dream, which opens us to new hope. This song is a message of hope, of being willing to face whatever fear seemingly blocks us. In that choice, we remember our deeper nature as Love. There is still a good bit of the journey for us to go on, but without love we go no further. The fear I believed in ’til now. Let the promise of ages come forth. That honors the way of the heart. I will hold fast, love will remain. Showing the way for us all to be free. Every soul, let it be seen. Honoring all, knowing our worth. Loving peace is already here, acting in each of our lives. Is the Love that we feel when we love anyone. In our diversity we are still one. And remember the Love that we are. Remember the Love that we are. Remember Love. Our thoughts are prayers, be aware of what you’re saying. And know that God is always here, and every thought remains a prayer. When we enter into the labyrinth, we face ourselves. And the ones who can face themselves are truly heros. This piece honors those who bear the gifts of self-knowing. Such gifts are for the world, as well as for themselves. The eighth movement is about taking all the pieces that we are and integrating them with purpose, creating empowerment. This is power with wisdom and love working together — an empowerment of service to the greater good. The Dream Fulfilled is a loving paradigm in which all beings are living in their joy and in their highest reality. This music expresses a sweetness of life “better than we could imagine,” which is what life really can be. Every person who follows their dream opens a doorway for the next person to follow theirs. And as each dream comes into fruition, more and more of the collective dream can be accomplished. And the vision that each of us has for the most beautiful world imaginable, can happen. Robert Hart Baker, Herb & Celeste Shulman, Christine Westfeldt, Peggy Hiatt, Gayle Hurst, Celeste Lauren. Thanks to Marcia Heusted, whose Musical Soul Portrait initiated this project, and to all who have worked with me who have a connection to the dream of Camelot…. Samuel Welsh, for reminding me of the Holy Grail. Stephen Smith and Tom Bates for sage mixing advice… to Lauren Gdovin at RichHear Music, our friends at New Leaf and Music Design, and to all our listeners who have helped this dream to become realized.